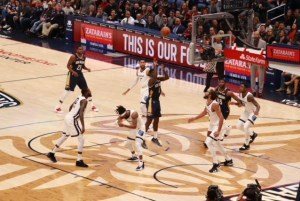 The (13-13) New Orleans Pelicans hosted and would be defeated by the (14-9) Memphis Grizzlies in the final game of their three-game homestand Saturday. The Pels are the 13th team in the Western Conference, only five games back from the number one spot. 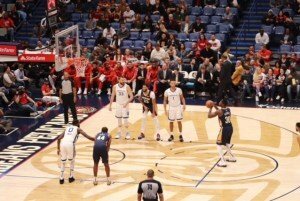 After defeating the up-and-coming Dallas Mavericks in their previous home game, the Pelicans looked to stay at the .500 mark against the Grizzlies and separate themselves from the bottom dwellers of the Western Conference. For this game, let’s jump into the fantasy basketball world. If you had a fantasy basketball team that was the entire Pelicans roster, you would be at .500 on the season and most likely ranked closer to the bottom half of your league. Who do you need to immediately trade and who can you keep that will help your team and catapult you to number one in your league? Some of the obvious players that you should keep on your squad are of course the MVP contender Anthony Davis, starting shooting guard Jrue Holiday and power forward Nikola Mirotic. These players are the team’s three leading scorers with AD being the front-runner with 27.9 points per game (PPG). Davis is the fourth leading scorer in the league and is also averaging 12.6 rebounds per game (RPG) giving him a double-double on the season. Holiday has also had a dominant season, averaging 20.4 PPG and nine assists per game (APG) on the season. 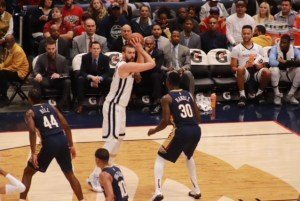 Mirotic has had a breakout season with the Pels. He is averaging 18.9 PPG and 10 RPG, giving him a double-double on the season as well. Some of the more surprising players that have averaged great numbers on the season and could help your team are Julius Randle and E’Twaun Moore. Randle is leading the pack of these underdog players. He was acquired from the Los Angeles Lakers at the beginning of the season and has also had a breakout season alongside Mirotic. Randle is averaging a near double-double with 18.6 PPG and 9.3 RPG this season. Guard E’Twaun Moore is definitely a very underrated player for the Pels. Coming off the bench he’s averaging 14.8 PPG and averaging about 30 minutes per game (MPG). The Brow would go on to finish this game with 25 points, and Holiday would finish with 20 points. This being Mirotic’s first game back after suffering from an illness, he would finish the game with only four points coming off the bench. Randle would be the leading scorer with 26 points showing why he is a keeper for your fantasy squad. The Pelicans and your team are both in need of a scoring guard or forward. Someone that can not only hold their own when asked but who can also make their teammates better and be a facilitator on the floor. The player that perfectly fits that description is, of course, Lebron James, but honestly, neither you or the Pelicans would be able to acquire him. In reality, you should be looking at a player like Tim Hardaway Jr. of the New York Knicks or Tobias Harris of the Los Angeles Clippers. Hardaway is averaging 22.1 PPG and three assists on the season. The Knicks are about five games out of playoff contention with an 8-18 record. As it seems that the Knicks are on the path to another losing season if you or the Pelicans can put together an attractive package you may be able to steal Hardaway. Harris is averaging 21 PPG, 8.5 RPG, and 2.3 APG this season. Unlike Hardaway, Harris is the leading scorer on the second best team in the western conference. The Pelicans would have to put together a really captivating package to get Harris from the Clippers. In order to get these players, you have to let go of others. Two players that need to be released from the Pelicans are small forwards Wesley Johnson and Solomon Hill. Johnson joined the team this year and he carried his 6.1 million dollar contract along with him. This season he has only averaged 4.2 PPG while playing 16.7 MPG. With a 6 million dollar contract and playing about 16 minutes, Johnson should be a more productive player adding higher numbers and contributing more to his team. Hill is on an even larger contract and is less productive than Johnson. On a 12.2 million dollar contract averaging only 3.8 PPG and 3.1 RPG in his third season with the Pels, Hill is having one of the worst seasons in his career. Playing about 21 MPG, Hill should be a lot more productive on the court given the amount of play time he is given. Keeping these players will do nothing but waste money and take playing time from other players that may actually be able to positively contribute to the team. The Pelicans would be defeated by the Memphis Grizzlies, 107-103, giving them their second straight win. The star players, Anthony Davis and Jrue Holiday showed out in thisgame, finishing with 25 points and 11 rebounds for AD and 20 points and 11 assists for Holiday. The underdog, Randle, was the man of the night in the end, finishing with 26 points and 13 rebounds. The Pelicans were hurt by their terrible bench play, finishing with only 11 total points coming from the bench. This is in comparison to the Grizzlies’ bench chipping in 53 total points to help their team win. The Pelicans would also turn the ball over 18 times and the Grizzlies would capitalize on this, scoring 11 points of turnovers. The Pels can be a top-tier team in the west if they can add one more dynamic player. This would balance the floor and make opposing defenses focus on multiple players, decreasing turnovers. 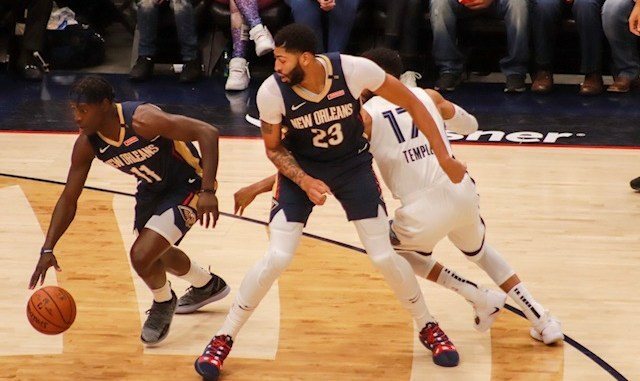 Adding another player would also allow for players like Randle to become the sixth man for the Pels, increasing bench production and helping their playoff success. Chris Taylor, sophomore at St. John the Baptist High School STEM Magnet Program, and member of the New Orleans Junior Journalism Program (JRNOLA), and it originally appeared on JRNOLA’s site. 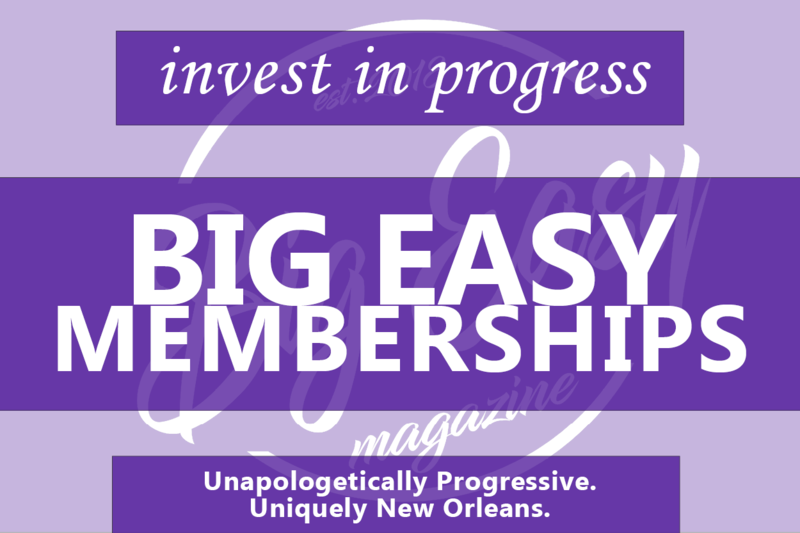 JRNOLA was officially formed in 2017 to change the face of journalism, addressing the underrepresentation of women and people of color in professional media. JRNOLA empowers high school students by positioning them as credentialed members of the media, teaching journalism through live event reporting. Our students aren’t just learning about journalism; they ARE journalists.